Metro officials are admitting changes are in order after they said it took them more than 40 minutes to respond to a cracked rail at Dupont Circle Metro station last month. The cracked rail caused residual delays for hours throughout the day, causing trains to single-track between Van Ness and Dupont Circle stations for most of rush hour that morning. 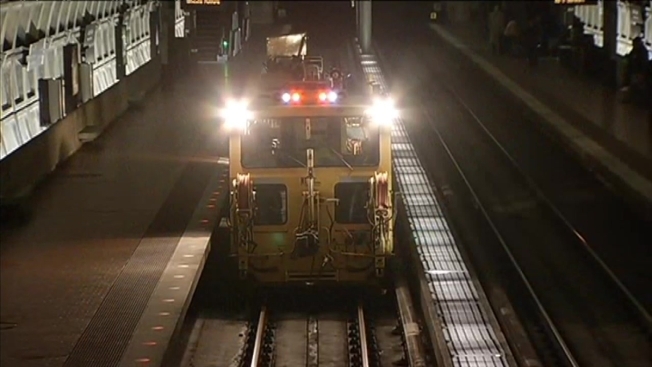 According to Metro Deputy Manager Rob Troup, it took 41 minutes to get the right personnel to Dupont Circle to asses the cracked rail because the supervisor had left with the wrong crew -- and got stuck in traffic. "I would like to see [the response] be as quick as possible," Troup said. "Again, that's the most critical aspect of all of this. We need to be able to get people to the scene as quickly as we can." Troup added crew members on scene had to wait to make repairs while the right type of equipment was brought in. Excessive moisture had caused damage to the tail over time. "Water is an issue on the Red Line," Troup said. "It's deep tunnels through there, deeper than most and so we do fight that all the time." A temporary fix was made using clamps, and a more permanent fix was made overnight.